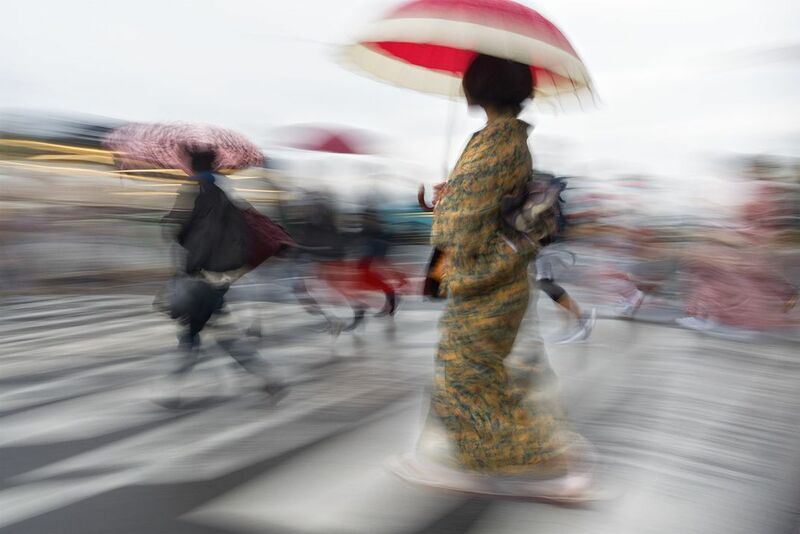 Woman in Kimono glides across the cross walk in Kyoto. The long dress restricts the woman's stride. So she's forced to take fast but tiny steps, so she appears to glide gracefully.